What is my workers’ compensation settlement worth? Do I need a lawyer to settle my claim? The biggest question you have when thinking about a workers’ compensation settlement is what your case and settlement is worth. The answer is, unsurprisingly, “it depends.” When our Erie, PA attorneys evaluate Pennsylvania workers’ comp cases, we obtain all your medical records, investigate your injuries, calculate your lost earnings, and perform a legal evaluation of the circumstances surrounding your injury. It’s a complex determination that requires a workers’ compensation attorney with experience. When you hire our firm, you can be confident that we won’t let the insurance company short-change you by paying you less than you deserve. Is the workers’ compensation insurance company offering me a fair settlement? If you don’t have a local attorney, the answer is almost certainly “no.” Your insurance company will try to buy your claim out before you get a lawyer to save themselves a great deal of money in wage-loss and medical payments over the course of your claim. 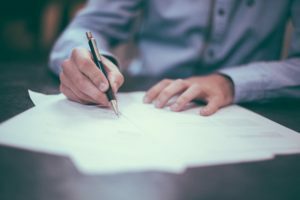 If the insurance company has offered you a lump-sum settlement before you have retained an attorney, we would be happy to speak with you to help you determine whether or not you’re getting a fair deal. Do I have to settle my Pennsylvania workers’ compensation case? You do not have to settle your workers’ compensation if you don’t want to. While settlement often times makes the most sense and gets you more money, sometimes it’s just not the right thing to do. If you’re thinking of settling your workers’ compensation claim, be sure to retain an attorney to make sure settlement is right for you and to make sure you get what you deserve. Do I have to settle the medical portion of my workers’ compensation case? While insurance companies typically want to settle your case in its entirety, there are certain rare cases where a settlement can be reached with what’s called “open medical.” Sometimes these settlements make a lot of sense, and sometimes they’re more hassle than they’re worth. When our Erie, PA and Smethport, PA lawyers settle cases, we always take a look at everything and only settle the medical portion of your claim if it leaves you better off. If I settle my Pennsylvania workers’ compensation case, will I lose my job? Usually, when a workers’ compensation insurance company agrees to settle your case, they require you to resign your employment. While this isn’t always the case, you need to be sure you have a lawyer who will ensure your rights are protected in any settlement. You might be jeopardizing retirement benefits, unemployment benefits, pensions, et cetera. We make sure that, when you settle your case, you get what’s fair without costing you your livelihood. Negotiating the settlement of your workers’ compensation case requires a great deal of skill and knowledge. The insurance adjuster knows that unrepresented workers are inexperienced and don’t know the issues that make up a case. If you are thinking of settling your case, contact our Erie, PA workers’ compensation lawyers for a free case evaluation. We won’t tell you how we’ll help—we’ll show you how we will help.